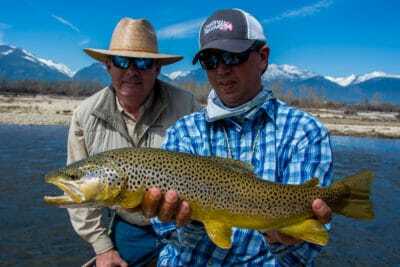 Montana Trout Outfitters | Missoula Fly Fishing Blog | Flyfishing at its best! The Skwala hatch has become one of the most celebrated events in western Montana in recent years. 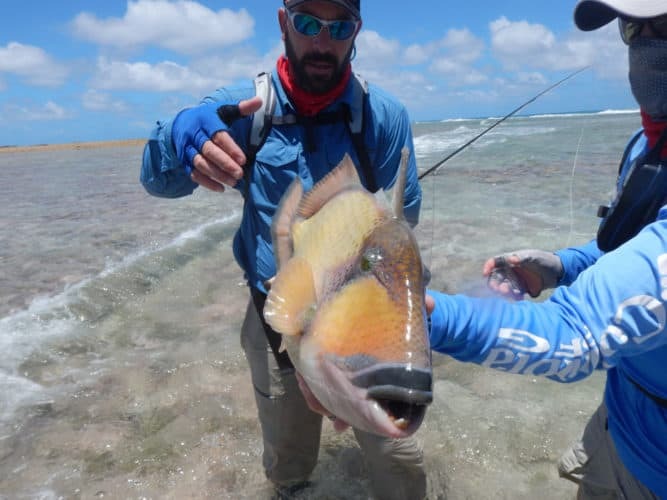 A quick look through social media channels on any March day will reveal fly shops, fishing guides, lodges, and every millennial with a set of waders boasting about the now famous skwala hatch. Is the hype just a product of a bunch of cabin fever stricken anglers looking for an excuse to get on the water? Fly shops need to make sales and fishing guides like to add a little something to those bank accounts that have been dwindling since October. A big hatch sounds like the perfect ploy to get the season started. Of course, it could be the real deal. It could be great fishing in the spring and you’re missing out. In fact both answers are true. 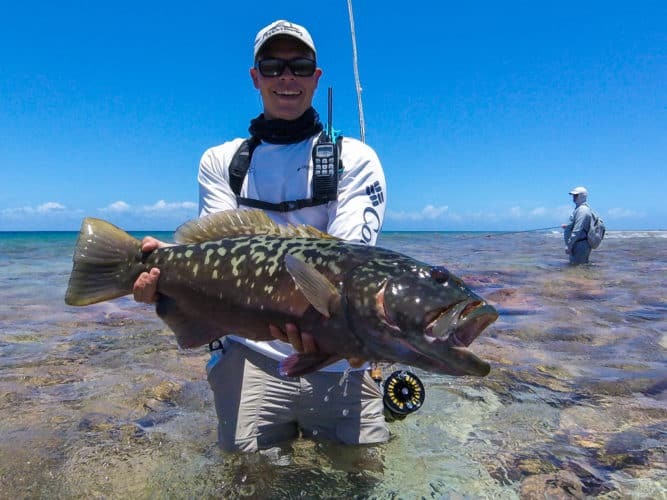 The skwala hatch is over-hyped and it is some of the best fishing of the year. The main reason is that the skwala hatch is not easy. This isn’t green drakes with visible risers down a good bank or golden stoneflies with thousands of bugs milling around. Most days you can count the number of natural skwalas you see on the water on one hand. 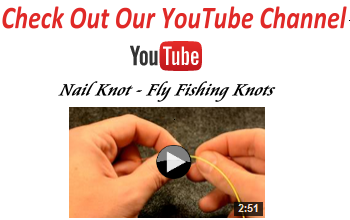 That doesn’t make a compelling argument to fish a dry fly, but it might be exactly what you should do. The other big challenge is Mother Nature. In the spring we can see anything from 38 and snowing to 65 and bright sun. Some of my best dry fly days have come during snow squalls when common sense would say to nymph or just stay home. River levels are prone to fluctuate erratically too. Low and mid-elevation snow melting off when it’s too warm and rain events can all cause the river to bump out of shape for a few days. Weather forecasts and streamflows are huge for fishing conditions during the skwala hatch. Traffic is the other piece of the puzzle in the spring. It’s a lot busier on the river now than it was 15 years ago. Everyone is looking for the same thing and I can’t blame them, but the weekend warrior is likely to see more anglers than trout most days. Creativity is rewarded this time of year. If you can find a little space you will likely find some willing fish. 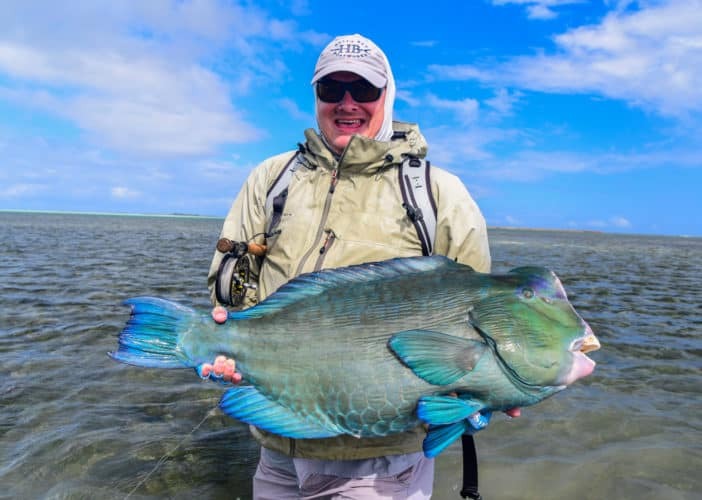 More than any other time of year, the skwala hatch is when it truly pays off to hire an experienced guide. I’m a guide so it seems automatic that I would recommend getting a guide to fish. But it’s the honest truth for this time of year. An experienced guide is the absolute best investment you can make for successful spring fishing. There will be 3 or 4 days during the hatch that are completely bonkers. Everyone will have a great day if you hit it just right. The rest of the season is more complicated. The average angler will have a tough time cracking the code. 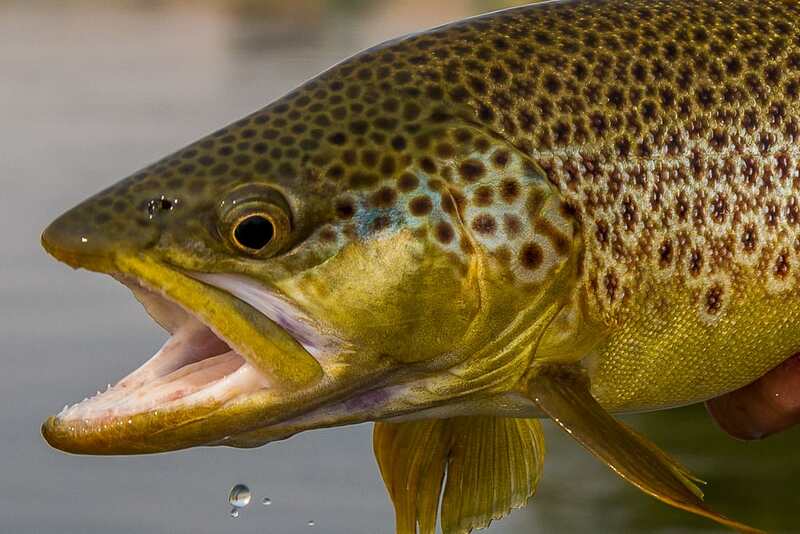 They will drive home cursing the over-hyped skwala hatch only to scroll through Instagram the next morning to see a couple jaw dropping brown trout, #skwalahatch. Whether the skwala hatch is all hype or legit is for you to decide. All I know for sure is that tomorrow I’m going fishing. The spring fishing season has finally arrived in Missoula! Old Man Winter has relaxed his grip just enough to make fishing enjoyable again. I am certain that we haven’t seen the end of winter yet, but we have strung together enough 40+ degree days to get things moving in the right direction. The extra daylight and increasing water temperatures have spurred the mass migration of Skwala nymphs into the shallows. The Bitterroot river is the focus of this early spring fishing season, but Rock Creek and the Clark Fork are coming to life as well. Right now it is almost strictly a nymphing game on all of our rivers. Two nymphs under an indicator in the slower, moderate depth water is the best tactic to find fish. You may find the sporadic risers to midges on the Bitterroot or Clark Fork in the afternoons. A small single dry can fool those picky eaters, but you are not going to cruise down the river with a big Skwala and crush them, at least not yet. Another small storm is on tap for early in the weekend, but the forecast for next week is the kind that cabin fever sufferers dream about. Temperatures in the 40’s and even low 50’s are on tap with partly cloudy skies. Conditions can change quickly in the spring, and my guess is that next week will see the first solid dry fly fishing of the season with Skwalas. It has been a long, cold winter in Missoula but there is finally light at the end of the tunnel. The next two months will produce some of the best dry fly fishing of the season. The boats have been cleaned, fly boxes organized, and we will be on the river daily starting next week. The spring fishing season has begun! We just returned from an incredible trip fly fishing the Seychelles. It is a destination that is on the radar of nearly every serious angler, and this year we were able to make it happen. Just getting to the Seychelles is an adventure in itself. Two full days of travel were required with long flights and longer layovers. Once we arrived on the main island of Mahe there was a moment of relief, immediately followed by horror as we realized our bags didn’t make the flight with us. After speaking with the airline we were informed that was very little chance of our bags arriving in time for our charter flight to Farquhar the next. That’s the moment when it really pays off to fish with a top notch operation. 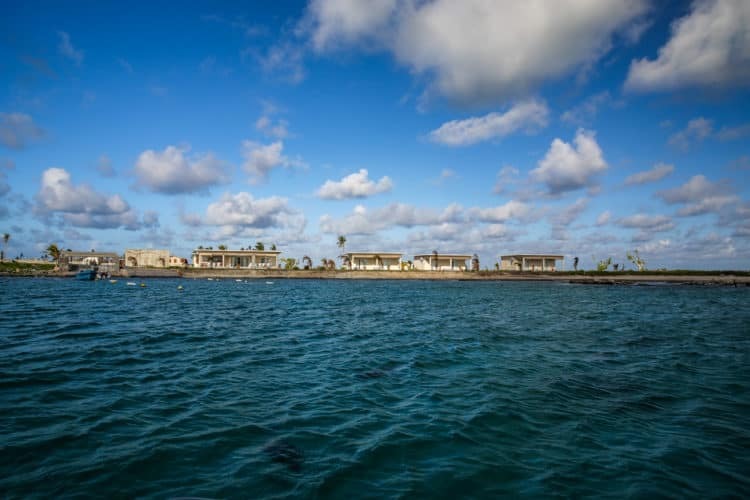 After a couple of emails and a phone call with FlyCastaway we were quickly assured that the team on the island would be able to provide us with all of the fishing gear and clothing that we would need. 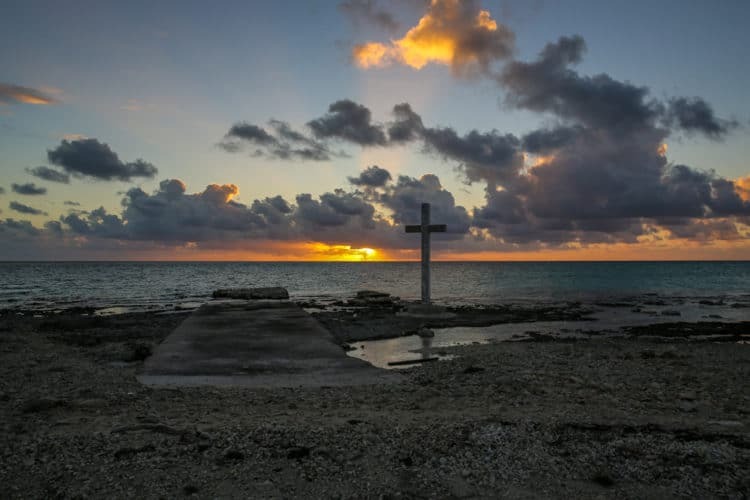 After a 2 hour flight the next day we arrived at Farquhar Atoll. It is the southernmost land mass in the Seychelles and well known for the diversity of its’ fishery. Farquhar was leveled by a cyclone 18 months ago, yet we were all impressed with our brand new and well-appointed accommodations. We had a great collection of anglers on the island for the week and were eager to get on the water. 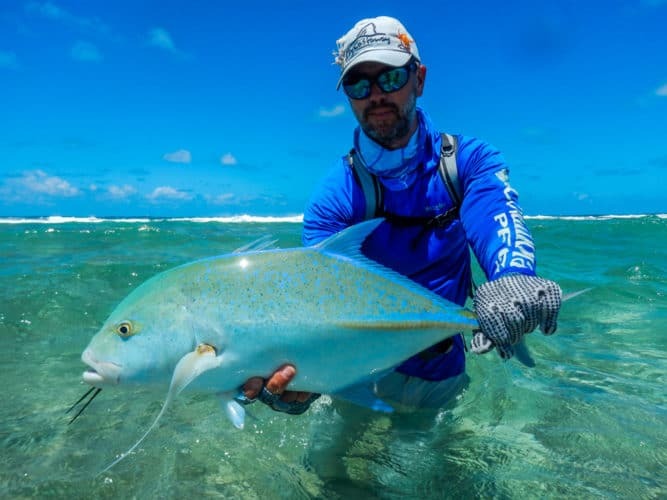 The first thing that comes to mind when most people think of fly fishing the Seychelles is GTs (Giant Trevally), and Farquhar has plenty of those high powered marauders prowling the flats. We had shots at GTs daily and everyone in the group hooked up. I have never seen a fish with the closing speed of a GT. When they decide they want to eat your fly there is absolutely nothing that will stop them. The take is often ferocious, and if the hook holds then you had best have your drag locked down or they will clean you up in short order. The reputation GTs have earned as a marquee fly rod species is well deserved. What is really astonishing about Farquhar is the sheer number of different species on the flats. We had shots at permit, bonefish, triggerfish, bluefin trevally, bumphead parrotfish, barracuda, grouper, snapper, sharks, and many, many more. The abundance of life in a remote healthy ecosystem is overwhelming. We quickly learned that even though Farquhar is remote, the fishing was demanding. These fish didn’t just eat everything we threw at them. They required good presentations and proper technique to bring to hand. By the end of the week we were all tired, sore and satisfied. We hadn’t even left the island yet and the thought of returning was already pulling on us. The guides were all excellent, the food was outstanding, and the fishing was everything we thought it would be. 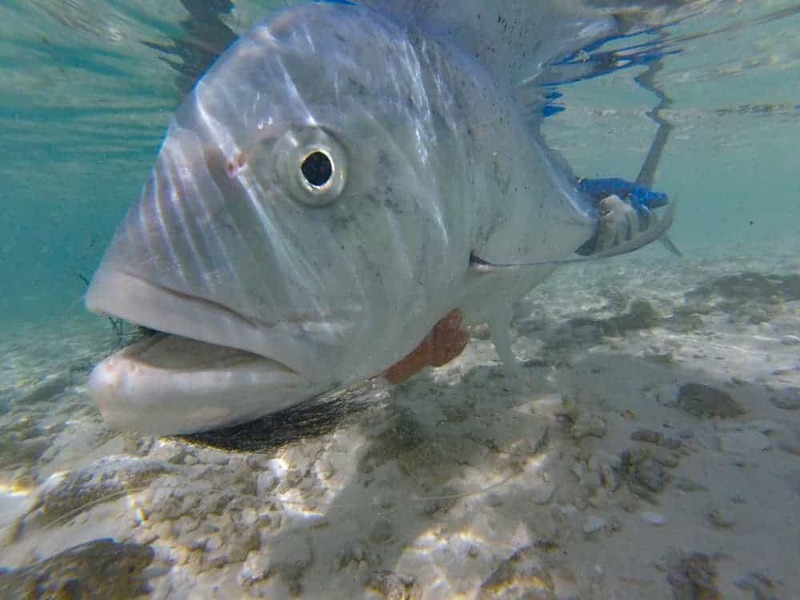 If you’ve ever dreamt about fly fishing the Seychelles I can say without hesitation that you should go. You will not be disappointed. Fall fishing in Missoula has finally arrived! It was a long and painful fire season with hot temperatures and smoke filled valleys. That all changed with a big cold front that brought cool and rainy weather to western Montana. The forest fires are not out yet, but the smoke is gone and this new weather pattern has kicked our fall hatches into high gear. We have a smorgasbord of mayflies on tap with tricos, hecubas, mahoganies, and blue-wing olives all coming off right now. There are big October caddis in a few spots and the trout are still willing to look up for hoppers, ants, and other terrestrials. The next few weeks promise to offer some of our best dry fly fishing of the year. 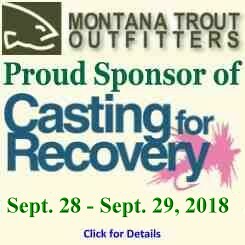 All the local Missoula rivers have turned the corner with the Blackfoot, Bitterroot, Clark Fork, and Rock Creek all producing solid fishing. Just a week ago we were meeting early to beat the hot, smoky conditions, but the best fishing now is an afternoon affair. 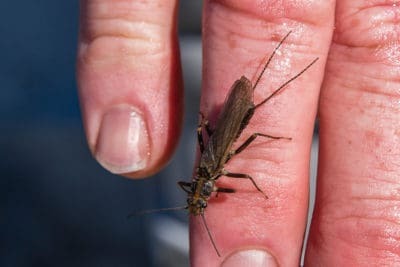 Anglers can sleep a little longer as the dry fly bite doesn’t really get going until a little later in the day. 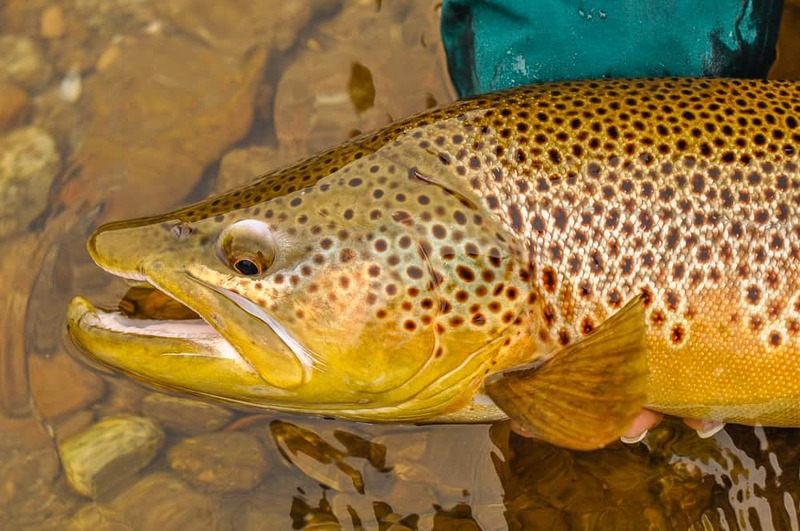 The other main draw of fall fishing in Missoula is big brown trout and streamer action. Since the weather change we have noticed more good browns on the prowl and that will continue through the month and into October. For those anglers willing to throw the big junk, there has been some good action and great visuals in the crystal clear flows of fall. Fall is the anglers’ season. The reach cast, strip set, and good dead drift all play a huge part in our success this time of year. Those who know how to execute are able to reap the rewards of the finest season Montana has to offer. Hoot Owl fishing restrictions have ended in Missoula, but Smokey Bear is still on the prowl with a number of forest fires in the area. Our weather has cooled off some and dropped water temperatures into acceptable, and even optimal ranges for fly fishing. 5 and 6 am meet times are no longer necessary as we start to relax into fall fishing mode. The forest fires are a whole different issue. Currently there are fires burning at all points of the compass from Missoula. Air quality varies day to day based on the wind and weather. It is almost always thickest in the morning and then starts to lift and thin out as the day warms. Most days are tolerable if you don’t have any health issues, but there have been a few days where the smoke was awful the entire day. It is impossible to predict what the future will hold. 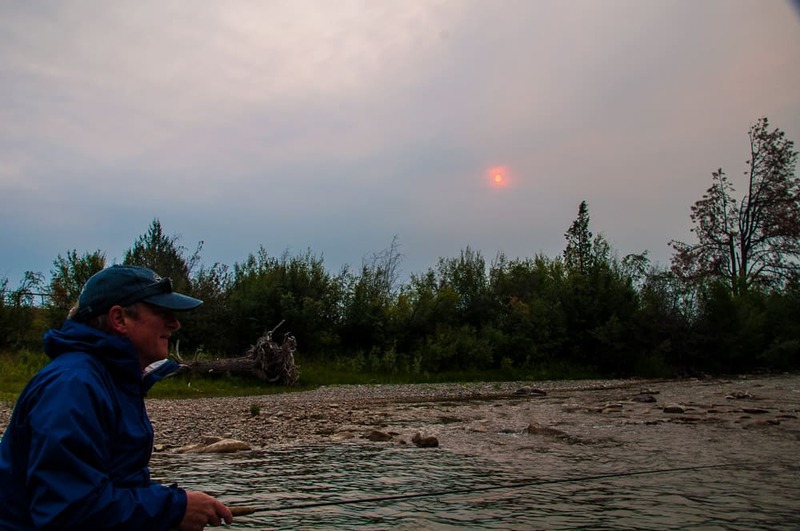 The one silver lining with the forest fires is that the smoke creates good fishing conditions. It serves as artificial cloud cover allowing the trout to feel more confident, and forces the mayflies to linger just a little longer on the water. The smoke also takes the edge off the heat. Instead of 90 degree days we have seen days in the mid 80’s which keeps our trout active longer throughout the day. If you don’t mind dealing with the smoke, this is a very good time to fish the Missoula area. There is less traffic on the water right now than at any time since the peak of run-off in May. It will only get busier through the fall. Hopper fishing is in full swing with the real possibility to fish a big single dry fly all day. Tricos and Hecubas are also starting which produces a mix of very technical small dry fly fishing and searching with a giant drake pattern. Late August is a sleeper in Missoula. Smokey Bear will likely be on patrol through the fall. Most of the experts expect this fire season to last until the snow flies in October. The air quality will improve however. Our days get noticeably shorter in September and the nights much colder. That tends to stunt the growth of our fires. They might linger until the snow but they should not be very active. In the meantime we will string up rods on vacant waters and enjoy fly fishing in Missoula. I have had the great fortune to be able to float many rivers with Tony Reinhardt over the past 13 plus years at an average of 15 days per year. Tony's desire on each and every one of those floats we shared has always been to make me comfortable, put me on fish and insure that I enjoyed myself. 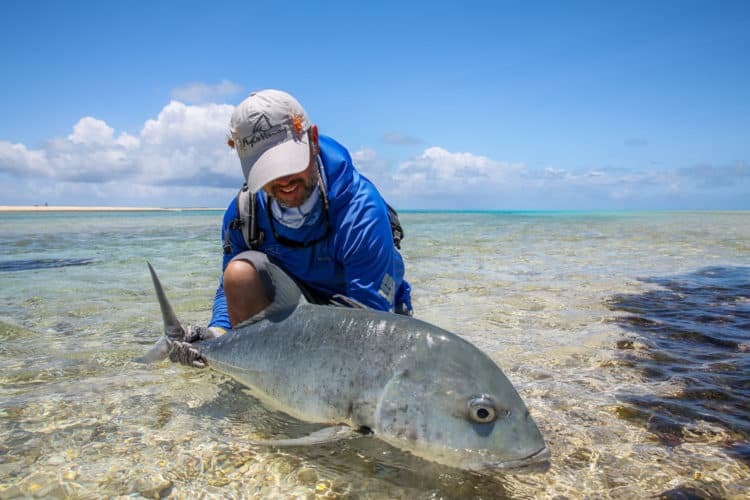 I've fished with many guides from freshwater to salt flats in my life but I've had the most pleasure watching Tony grow into the guide he is today. 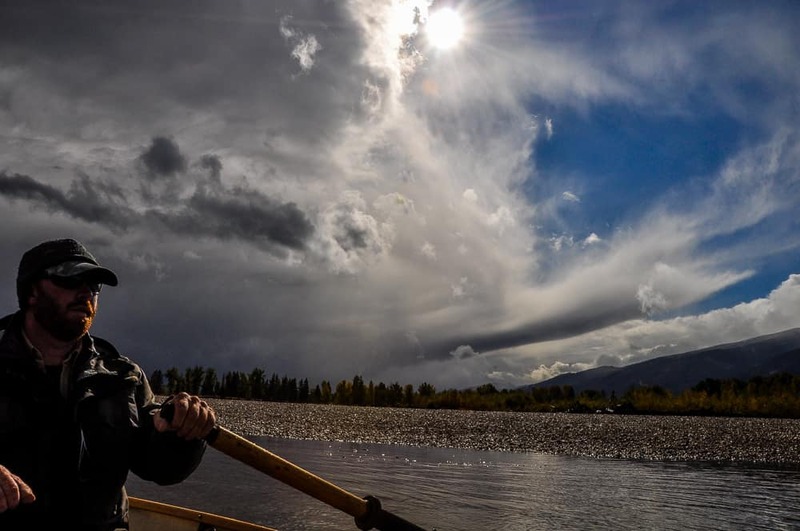 I can't think of anything I would rather do to start a day than be sitting in the front seat of his boat or raft and launching onto a river somewhere.